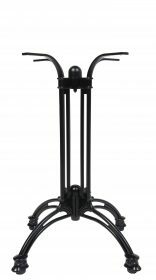 Commercial quality cast iron Paris Table Base is a great selection of ornamental, decorative and old world styles. Super strong and durable to support a wide variety of table tops. 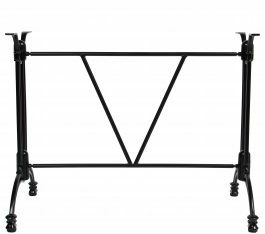 Solid cast iron table base with black gloss powder coat. 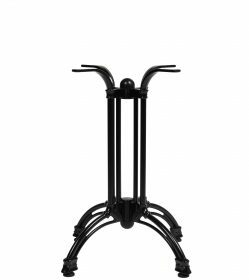 Commercial quality cast iron Paris Dry Bar Table Base is a great selection of ornamental, decorative and old world styles. Super strong and durable to support a wide variety of table tops. 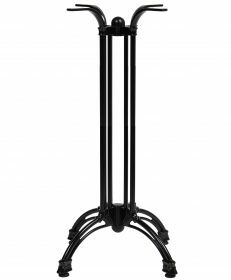 Bring your décor to life with this ornately designed, European vintage style Vittoria Disc Table Base 450mm. A one of a kind table base style that represents a classic and elegant style. Bring your décor to life with this ornately designed, European vintage style Vittoria Disc Table Base 540mm.